The bedroom window was open, but it wasn’t helping. The air outside was as muggy as the air inside her bedroom. It was too hot to do anything. Luckily her parents were out so there would be no call to ‘tidy your room!’ and the clothes and shoes could stay where they’d fallen on the floor. Propped up against pillows and a giant teddy, Tyrell stretched out on the single bed; the duvet was crowded on the foot of the bed as she streamed the latest episode of her favourite American show. A breeze blew sharp and cold, sending chills down her spine, and set to rattling the various talismans that had been pinned to her notice board. She had picked those up as she’d been told, but only after she’d stood on one and cut her foot. Tyrell wasn’t bothered; the laptop had its own power. Power returned, as did the light. The screen went to that annoying moving circle to say it was buffering. The wifi had failed. With a tut and a sigh, she put the laptop to one side and pushed herself off the bed, picked her way across the detritus on the floor. The landing and stairs lights were off, but it was June and the long evening hadn’t totally faded, so she could see well enough to get to the living room and reset the router. As she stepped into the room, the curtain moved. The wind again. Tyrell reset the router and turned to leave. She was the only one in the house and her parents always locked up the downstairs when they weren’t there. Her eyes swung to the curtain. It wasn’t moving now. Maybe it didn’t. She just imagined it. Didn’t she? Heart thumping, she moved forward. She reached out, noticed her hand was shaking. Her bitten fingernails were close to the velvet drapery. Her mouth was dry and she was uncertain she should do this. Oh, it’s just a curtain. She grabbed and pulled it back. The involuntary scream and instinctive step back nearly made her fall into the flat screen; luckily the man grabbed her arms and saved her and her TV. All she could do was stare up at him. He was older than her by maybe ten to fifteen years, putting him in his mid to late-20s. He had dark blond hair, cut short and just a little spiky. His blue eyes were dark and serious, which matched the lines developing on his forehead. He must frown too much. Her teeth clacked as he shook her. It was important she got away. However good looking he was, he was clearly a nutter and he was in the house. She had to get away. She kicked out, kicked his shin. “Gaargh!” With bare feet, it clearly hurt her more than him. She continued to struggle. For the first time she saw another man behind the first, behind this ‘Dean’. Suddenly released, Tyrell stumbled away from both men, backing towards the kitchen. Dean moved; he’d let her go, but he wasn’t going to let her go anywhere. “Who are you? What do you want?” She didn’t like the way her voice quivered. “I’m Sam Winchester.” The second man stepped forward. Tyrell stepped back and looked at him. Sam was taller and darker, probably younger too. Dean was scowling, but he attempted to smile in greeting – looked more like a grimace. Same put his hand on his brother’s arm; it seemed to have a calming effect. Great, she thought. 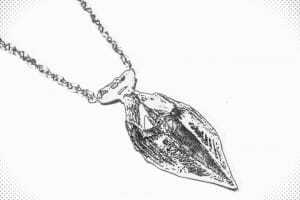 What sort of amulet hides itself from its possessor? How is that useful? Of course not. That’d be too helpful. She had an odd collection of pendants, things she’d picked up in markets, at Comic-Con, gifts, stuff from fan sites and online retailers. There was one that might fit the bill. “I don’t know,” Tyrell backed away from his obvious anger. “Why?” She looked from one bother to the next and back again as she calculated. She wasn’t a sprinter, but she didn’t need to get far, the big carving knife was only on the draining board, where she’d left it after doing the washing up. It wasn’t far, but these guys looked fit. Could she make it? Yes. Her throat was suddenly dry. Tyrell turned as he spoke. Three steps. They were after her. Two more. They were behind her. 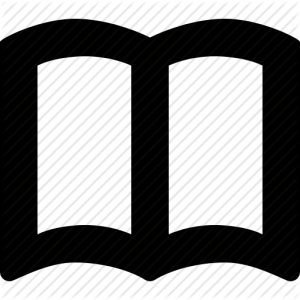 She swung around, the ten inch blade slashing before her, the sharp edge slicing through the thin material of Dean’s cotton shirt even as he jumped back. Sam started to back away, one hand reached for Dean, pulling him back and starting him towards the living room. While relieved, Tyrell couldn’t help but be suspicious. If these two wanted to, she didn’t doubt they could easily overpower her. If they were backing off, it was from choice rather than necessity. Still, who was she to look a gift horse in the mouth? She didn’t care why they moved, only that they did. She started to slowly follow them. “Listen,” said Dean, his hands open and wide before him, showing he wasn’t a threat. She was glad he was also showing he hadn’t cut him, just his shirt. Seeing those abs was no hardship either. Washboard! “We need the amulet.” Dean was talking to her but looking over her head. “We need it now.” Sam was also looking over her head. And like his brother, he looked worried. Tyrell swung at the sound of the voice behind her. Instinctively she used the knife again. This time she slashed across and up, she could tell from the resistance against the movement that she’d cut him. He was tall, way taller than any real human she’d ever encountered. He wore what she could only describe as a loincloth wrapped around his waist, a loincloth that looked like it was made of human skin, which was fastened with sharpened bones, possibly metacarpals. Mr Marten would be proud, she thought, though biology had not been her strongest subject in school. She knew enough about biology to know that no man should ever have skin that grey and still be alive. No man should be able to stand in front of her with a two foot long gash from his side to his ribcage and not scream in agony either. There again, such a wound should be pouring out blood rather than gaping to show a sickly green slice of decayed muscle, it stank like when the toilet had backed up and other things she didn’t what to think about. Two long-fingered hands rose to his middle, the four-jointed extended digits each ended in a black claw sharpened to inch long talons. For a moment he looked down and held the wound together, then he looked at her. One hand struck out. The speed and power of the blow smashed into Tyrell’s jaw and sent her flying to the side; luckily, the couch caught her. As she panted with surprise, pain and fear, other hands were pulling her up, human hands. Once on her feet, she found herself pushed behind the protection of the Winchesters, where she tried to catch her breath. “And why we want the Amulet,” Dean’s sarcasm was hardly welcome. Looking the long way up to Antarken’s face, Tyrell felt the power of her revulsion pushing her back again. The guys weren’t enough of a shield when she looked at the sharp etched features of the monster before her. Above a sharp chin any gnarled witch would be proud of, his thin black lips were snarled back, exposing small yellow teeth that were so sharp, they appeared like a line of fangs. His nose was like a blade beneath a prominent, hairless brow. Eyes of blank midnight reflected nothing and pulled her in like all eternity was dragging her soul away, pulling her to him. Another tight grip took both her arms, swung her to the side and suddenly she was looking at human eyes, hazel eyes with the emphasis on the green. “Don’t look into his eyes,” Dean told her. Not now, she thought, green-hazel were a much better view. “We need that amulet,” he told her again. Before she could think to reply, Antarken bellowed, Sam stepped forward, deflecting Antarken’s attack with a sword Tyrell hadn’t even noticed he was carrying. Dean was turning her, pushing her towards the living room door, away from the fight that had deadlocked. One backward glance surprised her, Antarken had the advantage of height and weight over Sam, but the two of them were locked in a grapple, neither winning, neither losing. She was through the door; Dean was guiding her right to the front door. She stopped, about face. Surprising Dean, if the eyebrows reaching for his hairline were any indication. “The Amulet is upstairs. Possibly.” This last word was added as he released his grip and she pushed past him in the small hall and pounded up the stairs. As she swung around on the newel post, she saw he was coming up behind her, his long legs taking the stairs two at a time. She was already rummaging through the layers of pendants pinned to the board when Dean appeared behind her. Now she wished she’d tidied her room. There wasn’t time for that, so she concentrated on finding the amulet, ignoring the thudding from downstairs. If furniture got broken how would she explain that to her parents? Still, her brother had got away with the legendary puke-fest party, so she might be alright. Her hands were shaking as she looked. “It’s not here.” She couldn’t believe it. “It has to be.” Dean appeared at her side, kneeling on her unmade bed as he started to go through the pendants too. “It’s not here,” he said a moment later. For a second they just looked at each other. The sound of the fight below had stopped. The wind blew the curtains in, and suddenly Antarken was there, howling at them. The room was small, not enough space for three people, certainly not for two people and a demon. Antarken reached out, one inhuman hand wrapped around Dean’s throat, the other pushing Tyrell. She fell back against the corner desk, struck the wall, the back of her head hitting hard. Seeing stars, she began to fall. She reached hopelessly for the desk to steady herself, dislodging the haphazard piles of things on the desk. Things that cascaded down over her. She looked up at Dean; Antarken had him pressed high against the wall, the posters and photos she had blu-tacked to the wall were creasing and falling, but more importantly, Dean was being choked and it seemed Sam had been defeated downstairs. Without the amulet, it’s Armageddon. They’d also said, the dagger is the only thing that can send Antarken back to Hell. But a dagger and an amulet were different things, and she didn’t have either. Green-hazel eyes were turning up; Dean was going to die if she didn’t do something. She twisted to get to her feet. As she did, the small wooden box her mother had brought back from a business trip to Thailand fell off her lap. It fell open and out fell another pendant. 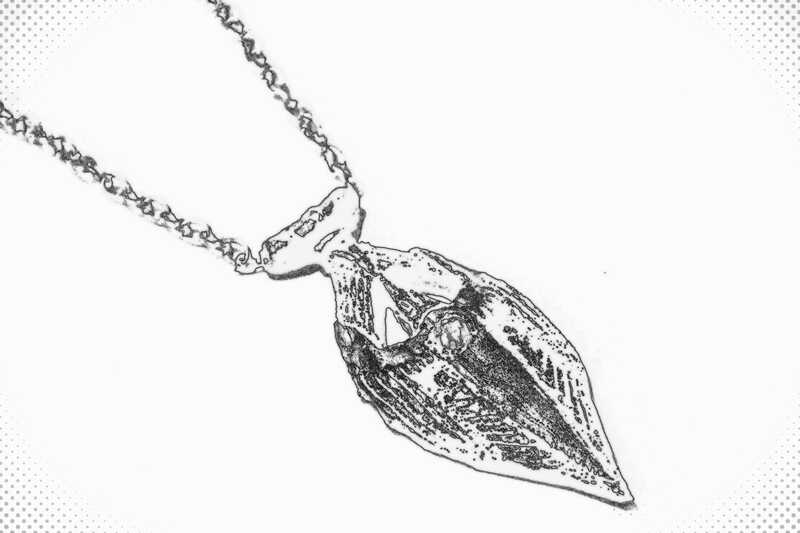 An upside-down teardrop pendant. Grabbing the Amulet in her fist, Tyrell stood. As she moved she felt heat and movement in her hand. She looked down and instead of an amulet, she was holding a dagger. She didn’t even need to think. Antarken was focusing on killing Dean. Adrenaline coursing through her veins, Tyrell raised her arm, drawing in a deep breath that she expelled with a whoosh as she plunged the dagger into Antarken’s exposed back. The demon dropped Dean, and he collapsed onto her single bed, gasping for air, rubbing his throat. Too long fingers scrabbled over grey shoulders. Antarken was screaming as he reached for the dagger, but he couldn’t reach it in the sweet spot between his shoulder blades. The dagger was glowing, almost white with power. The heat was drying her skin, her eyes, she blinked but she couldn’t look away. Cracking lines of energy broke across Antarken’s grey flesh, opening split after split. Tyrell squinted to protect her eyes from the intensity of the light; horrified fascination meant she couldn’t look away. Antarken turned to her, his mouth open in a scream. Tyrell could see splits of light dancing in his throat, an internal lightning storm. His whole body began to glow with unnatural light. Now Tyrell covered her eyes, before they were burned to uselessness. Antarken’s screams filled her ears with the pain of all eternity. Tyrell risked opening an eye, the one furthest from Antarken. Nope, not dead. Not unless the afterlife was every bit as messy as the real world. She opened the other eye and looked around. Antarken was gone, but the dagger was still there, suspended in mid-air, where it would have been after she plunged it into the demon’s shoulders. The dagger was still glowing, but only faintly now. More like a night light than a holy light. But even that light diminished. As it finally dimmed, there was a small popping sound and suddenly the dagger was an amulet again, one that couldn’t defy gravity. Dean’s hand reached out, unerringly making the catch. He was sitting on her bed, rubbing his neck. It was already turning blue with bruises. He was even starting to smile. He had a great smile and she felt all gooey. Rushing out of the room, she heard Dean scrabbling after her. They thundered down the stairs and into the sitting room. Sam was face down on the floor, his long dark hair covered his face, but they could see blood pooling from his nose, possibly his mouth too. The name was called in stereo, called by Tyrell, rasped by Dean, each went to one side of the prone figure as it gave a groan and started to sit up. Dean’s only rejoice was a small nod of the head. Family! Tyrell thought with a mental eye roll. “Gone.” Dean held the Amulet up for his brother to see. There was something about the way Dean Winchester said her name that turned her insides to mush. The Winchesters looked around. The place was a mess, but nothing looked broken, and they weren’t used to cleaning up the places where they’d slain demons. Sam looked down at her, then to his brother.